Summer is officially upon us, and regardless of where you live, that means lighter and sunnier days ahead. Nothing says childhood or triggers fond memories quite like a carefree alfresco afternoon. Sometimes, all they need is bare feet on cool grass and a popsicle to have the best day ever. But what do you do when temperatures rise and boredom inevitably hits? You don’t have to look much further than the tub to find bath toys suited for outdoor fun. From the park to the pool, you can bring playtime up a notch this summer with multitasking toys that help beat the heat and transition seamlessly from the bath to the backyard and beyond. 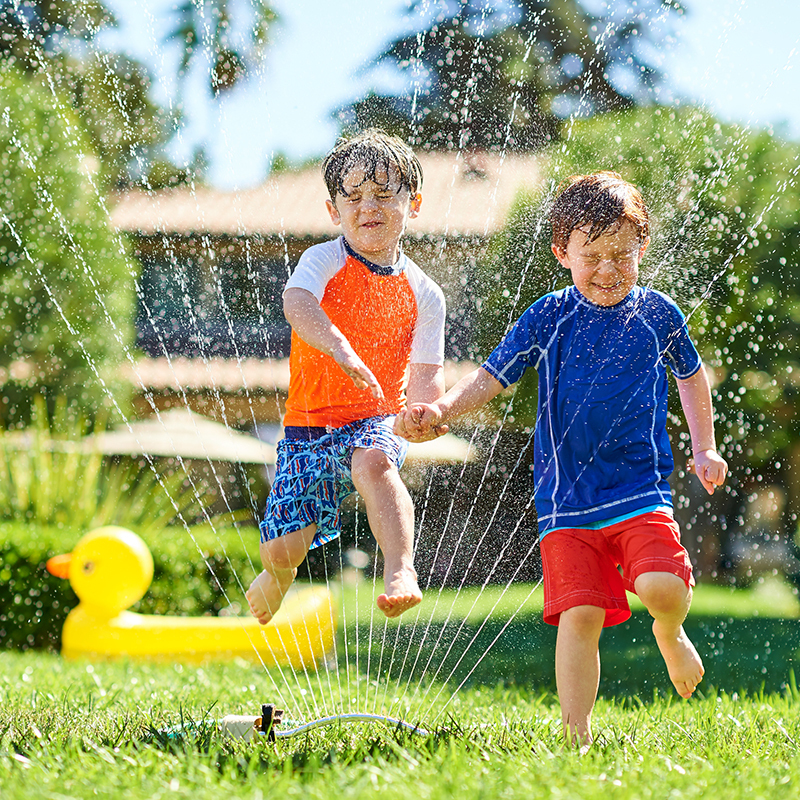 Water play is a quintessential part of summer, and sometimes a good old-fashioned hose or set of sprinklers will do. Our floating Spray Star fits the bill as a small but mighty sprinkler that brings smiles and cools them down in one fell swoop. 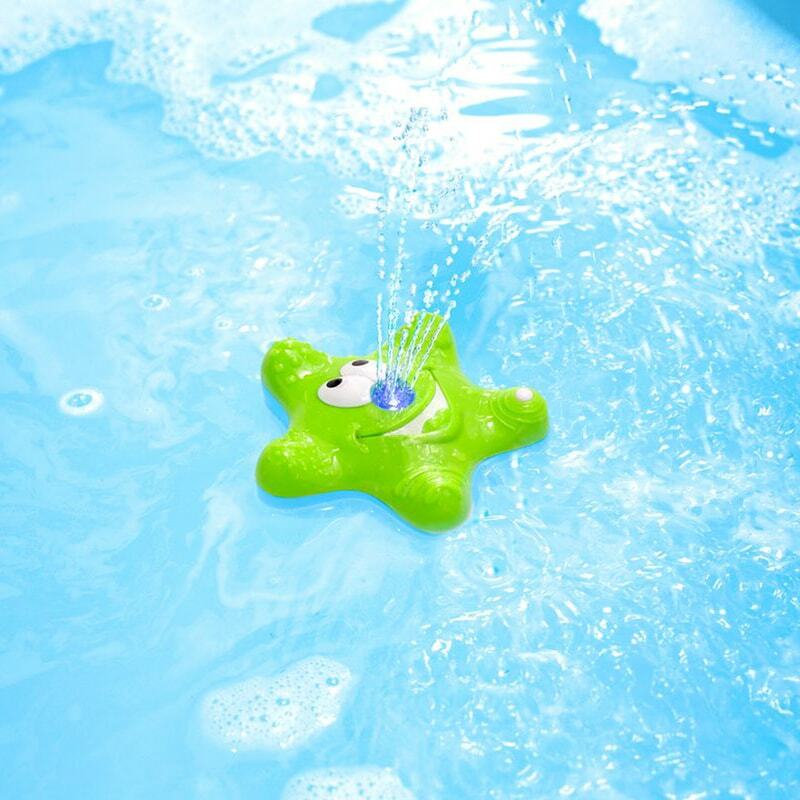 Whether you have a water table, kiddie pool, or just a big bowl to work with, simply place this star-shaped fountain in the water and watch it deliver its magic. Talk about star power! Want to see them literally bubble over with excitement? 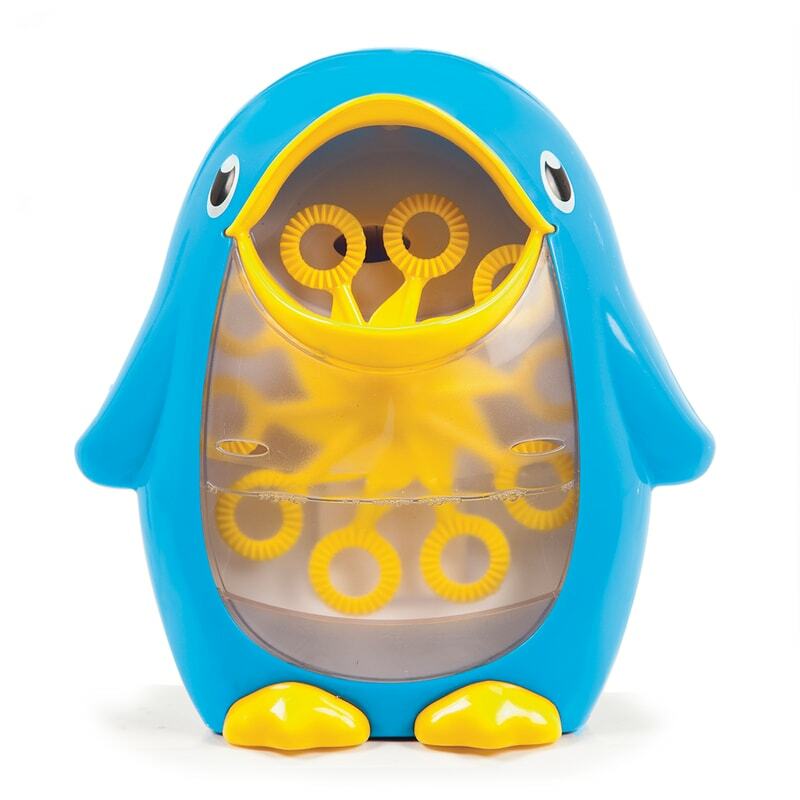 You can help kids of all ages release energy and giggles with our motorized Bubble Blower, an adorable penguin that delivers a consistent stream of bubbles. Kids love chasing bubbles, and what better way to cool off under the sun or better yet, entice them to head to the shade? Add a little whimsy to the yard with a bubble machine that delights them both indoors and out. We have yet to meet a child who doesn’t love bubbles, so this one’s a guaranteed winner. Summer is synonymous with fun – the kind that’s big, bold, and splashy. If you have a full-sized or kiddie pool at your disposal, don’t forget that bath products can easily double as pool toys. Sunblock and floaties aside, they’re total must-haves for your pool time bag of tricks! Pint-sized swimmers will no doubt appreciate bath toys that swim just like they do. 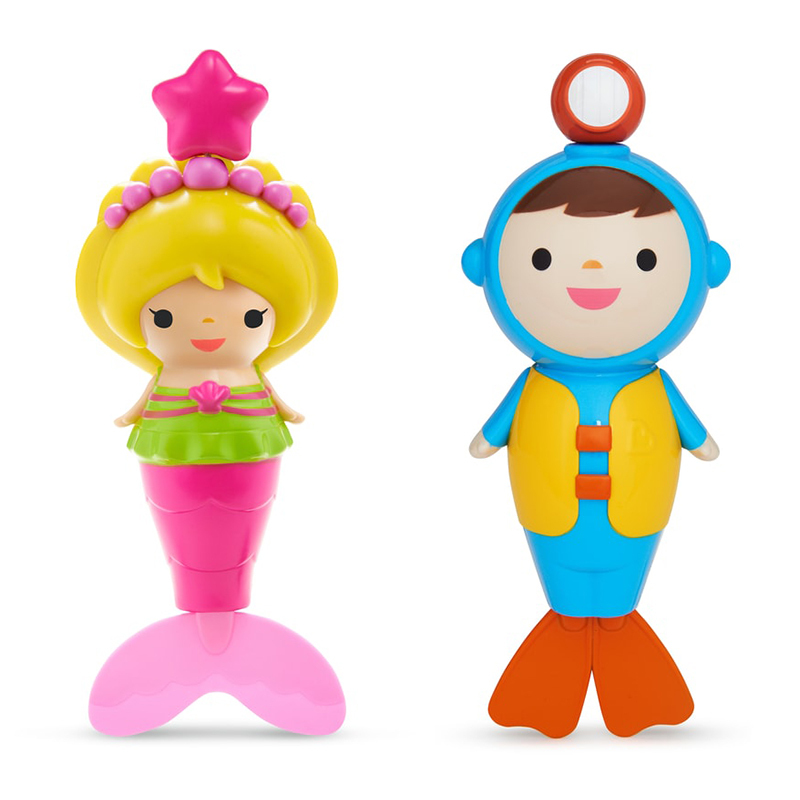 Our swimming mermaid and scuba diver bath toys are wonderful pool companions that are designed to work underwater. Another way to help the day go by swimmingly? Check out our Little Boat Trains — they link together, float in the bath and pool, and help develop motor skills, to boot. All aboard! Toys that build hand-eye coordination and encourage patience are always a clear winner in our book, as are simple, kid-friendly games that can be played in the pool. When you can have fun and learn in the water, that’s even better. 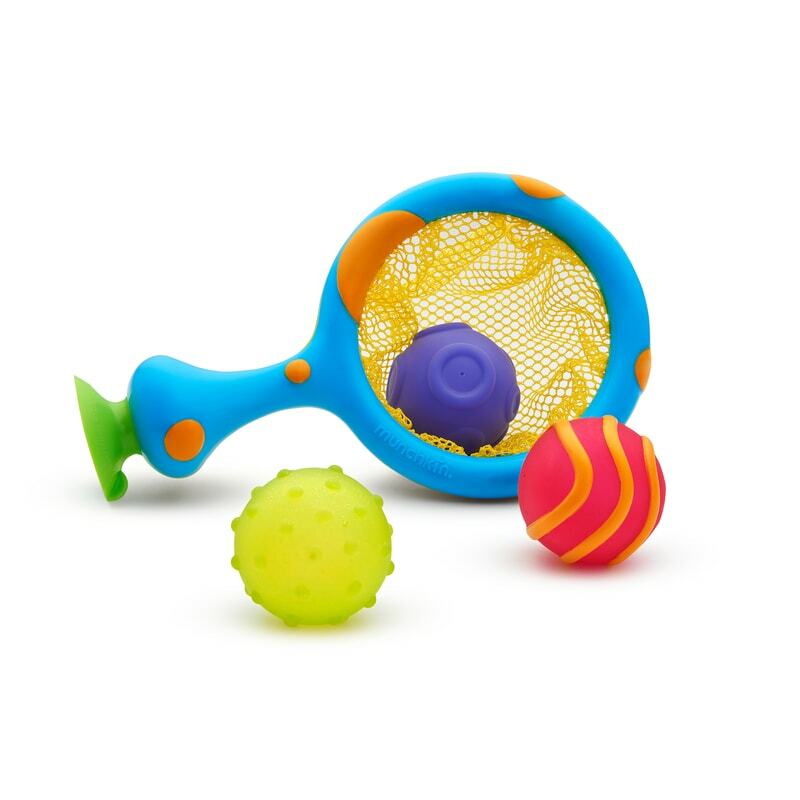 If you have a budding basketball player on your hands, our favorite is the Scooper Hooper, which doubles as a bath basketball hoop and toy catch in one. 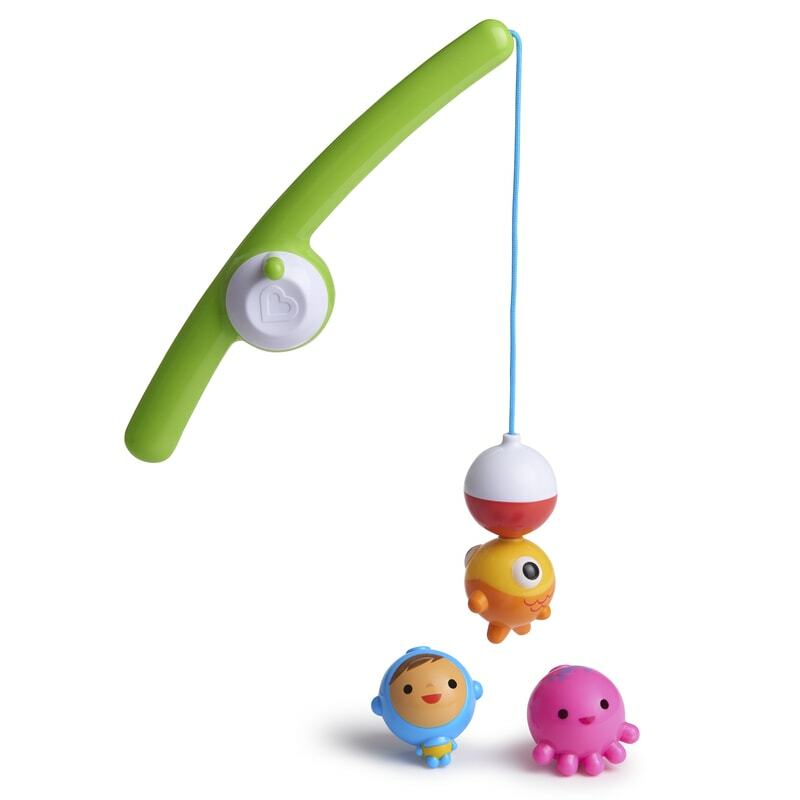 Little fishermen, meanwhile, will love reeling in the fun with the Fishin’ Bath Toy, which comes with a magnetic fishing rod and underwater bobbers. Both of these bath toys are perfect for the pool as well as building skills and keeping boredom at bay. SCORE. Parents are multitasking wizards. Case in point: cooking with a toddler wrapped around your leg, folding laundry during a conference call, or making dinner while helping with homework (you know you’ve done it too). As moms and dads, we’re practically programmed to love products that pull double duty just like we do! Check out our entire collection of fun bath toys and get ready to make a splash all summer long.